Marketing has always been about altering or designing the perception of the buyer or the customer. How they’re experiencing your product, your brand, or your service is largely driven by the marketers and by you as the business owner. 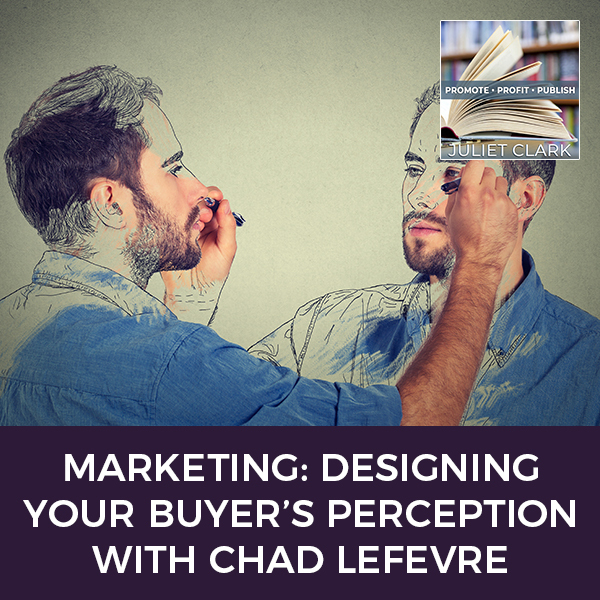 One of the things that Chad Lefevre teaches companies is that perception is a reality and that there is no absolute objective, verifiable reality that we can point to. Chad is a design-thinking business strategist, neuromarketing communications executive, and a self-mastery coach. In the case of marketing, he says it’s super important to be able to understand your customers’ perception of the world which may not align with yours. 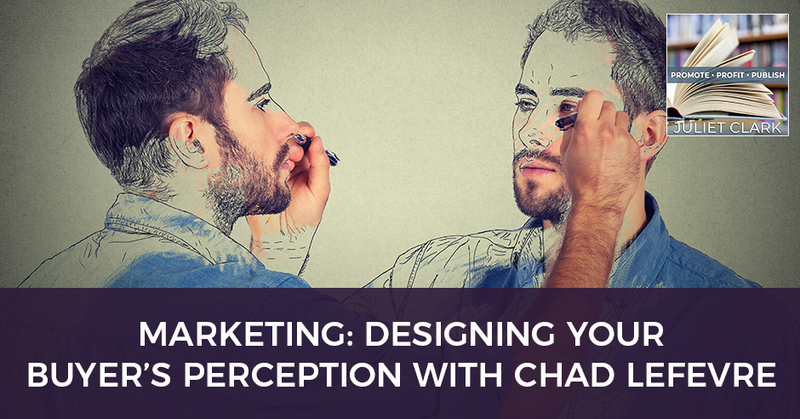 Chad talks about marketing and perception, and shares why buying any product or service is first and foremost an emotional decision. 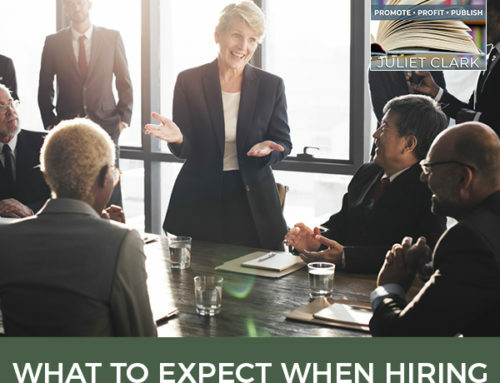 I wanted to remind all of you to go over and take the Promote, Profit, Publish quiz, www.PromoteProfitPublishQuiz.com and find out where your disability skills are at with your business and what you want to do in the publishing world. I met my guest at CEO Space. I was so impressed with his keynote that he did with Erin Saxton. Being a marketer, I’m always interested in what’s going on inside somebody’s brain. 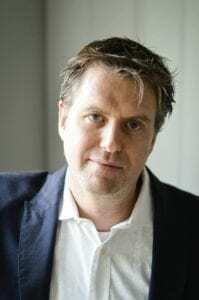 Chad Lefevre is a design-thinking business strategist, neuromarketing communications executive and a self-mastery coach. 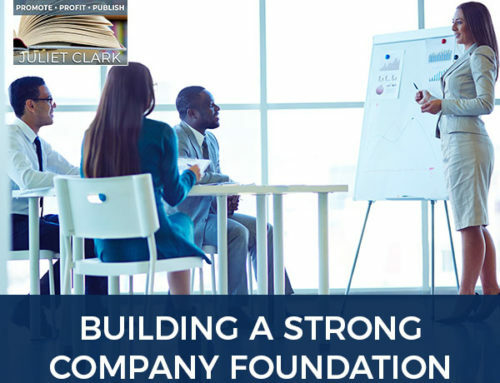 He has nearly twenty years of executive business and leadership experience including the areas of senior management, operations, business development, branding, marketing, corporate and crisis communication, stakeholder relations, PR, technology design and development, and also investor relations that have spanned both in the United States and Canada. He’s served as CEO, President and CMO for many startup and mid-size companies, in addition to his work as a consultative strategist. His research and study cross several disciplines including neuroscience, cybernetics, complexity theory, game theory, behavioral psychology, philosophy and spirituality. Welcome, Chad. Don’t let that bio scare you. He’s an interesting guy. This is not going to be over your head. Tell us a little bit about what you do because I don’t think many people realize how much psychology is behind their marketing when they are building avatars, when they build their business, like they think that what they put out in the world is how people see them and they’re not clear on that’s not how it works. No, it’s not. Let me start by saying that marketing, going back many decades now, has always been about altering or designing the perception of the buyer, the customer. How are they experiencing your product? How they are experiencing your brand or your service is largely driven by the marketers and by you as the business owner. One of the things that we teach when we work with companies is that perception is a reality. There is no absolute objective, a verifiable reality that we can point to. Most things are disputable. I could even go deeply into how all of mathematics is itself a human construct and doesn’t exist in reality. There’s some great literature and some books on that. How numbers were invented in order to be tools to help us try to understand the reality in which we live. Even science can technically be questioned if you take it right down to its most philosophical levels. In the case of marketing, it’s super important to be able to understand that your customers have a perception of the world that may not align with yours. They may not look at your brand, your products, or services the way that you do despite your messaging. What we do is we work with our clients to help them get clear and to understand what are the messages that they’re seeking to transmute? What emotions are they hoping to invoke through their marketing? One of the things we teach is that all buying any products or services is first and foremost an emotional decision. There’s a sequence in our company that we teach called the logical story sequence. It basically articulates how the brain works. The way our brains work is we experience an emotion. We usually have a reaction to that emotion, which is largely driven by unconscious habits that have been established over the years. Many of us, when we were children, we started to create the habituation in our mind in terms of how we react in certain circumstances. We keep adding to them over the years. We’ve got this emotion. It activates a reaction. We take an action. It’s like being at the supermarket checkout line and seeing a pack of gum and maybe the emotional experiences, “I remember when I was nine years old, I used to buy this gum.” The reaction is I want to buy the gum. You buy the gum. The last part of the sequence is we tell ourselves a logical story. We tell ourselves a story as to why we did what we did because as human beings, we don’t want to believe that we’re not in control of our minds, though we can be. All of this happens in 1.7 to 2.2 seconds. It’s very quick. It’s like we’re not even aware it’s occurring. That’s happening to all of your readers’ customers. That’s how they process information. What we do is we reverse engineer this. We take a look at the brands, the products, and services that we’re working with and reverse engineer the emotions that we want to activate. We also create the story, the logical story that they’re going to tell themselves. We’re inserting control over the initial emotional activation. Also, the story they tell themselves so that they can feel good about the purchase they make. Could you explain a little bit about that? I bet most solopreneurs that are listening to this, they said, “I like these colors. They’re all about me. I like this logo. This butterfly describes me,” but they never gave a single thought to who’s out there and looking back at this. One of the first principles of marketing is it’s not about you. 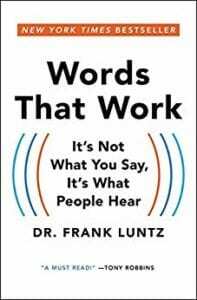 It was Dr. Frank Luntz who came up with a book years ago, which I’d love to this day called Words That Work. He was specifically talking about the impact and the power of words. One of the things he always would say is, “It doesn’t matter what you say, it matters what they hear.” You could say something and it may not be being interpreted the way you think it is because you’re coming from a different worldview and you have a different life experience. You have a different perception of what’s real. 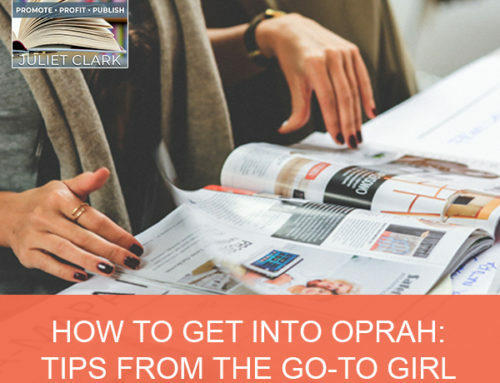 This is how entrepreneurs and solopreneurs can sometimes get themselves into trouble because they look at their business and be like, “This is the greatest thing since sliced bread.” They love it and they assume everyone else is going to have that same experience and love it as much as them. It often doesn’t happen, which is why we see 90% of businesses struggle or fail. This is strictly a communication breakdown between two different perceptions of what’s real and what’s important. We ensure that basically, we get clear on like what is the emotion you’re trying to evoke? That goes back to something about what is the intention of your company. We believe that what we teach is that a business should be the vehicle through which you demonstrate your why to the world, your purpose. It’s a vehicle. It’s a tool. It’s how you can be in your most authentic self, integrated and deliver something of value to the world. 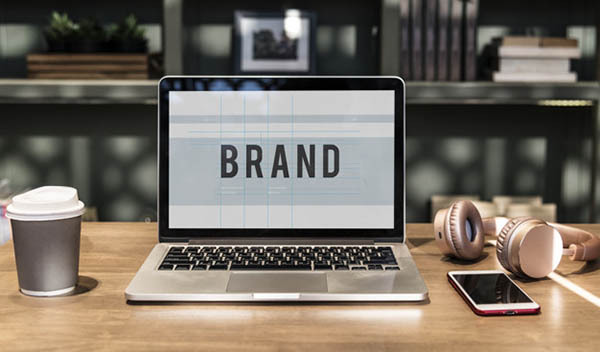 We make sure that we’re clear on that because whatever you want to deliver to the world and the emotion you want to evoke, it has to be experienced in your messaging and your branding, marketing and fundamentally when you are using the product or benefiting from the service. A good example of that would be something like Starbucks that’s clear on the intention of what they’re trying to deliver to the world for years. They’ve talked about how their environments were the third place between home and work. They’re clear that their environments are designed in such a way to create and facilitate community, to facilitate dialogue. They are uncompromising in that. It’s something that drives their whole business. They’re very clear on the emotions they want to evoke. They’re very clear on the stories they want people to be telling themselves. Some of the consulting that I do, I’ll put up like a Dunkin Donuts logo and a Starbucks logo. I’ll ask people, “Tell me how you feel about these two. Tell me what they mean to you.” It’s remarkable the consistency and the patterns that we start to see. People will say about Starbucks that it’s a white-collar coffee shop. They’ll say that it’s a place where you can go do business. It’s a place where you can go philosophize. It’s very high-minded. It’s almost like they separate it out. Dunkin Donuts, on the other hand, they’ll say it’s the working man’s coffee shop. It’s the place where you could go talk about the nitty-gritty of life. It’s the place where you’re having fun. There’s no business going on there. It’s when you’re away from the job. People have very different emotional experiences and then relate to things from different standpoints based on their perception of reality. As marketers, we have the power and the ability to control reality. I don’t mean control in a bad way. I mean that we have the ability to control the messaging and to control the way that messaging is landing and being experienced. It’s a good point that you’re raising because if you think about it, they’re selling coffee. What people are buying is not the coffee. People never buy the product or service and that might seem weird to hear, but all of you consider that what you’re selling as a product or service is not what people are buying. They’re buying the emotional experience they have with your product or service, whatever that may be. Getting clear about what that puts you in a powerful position. That is so true because I remember sitting there talking to them saying, “Your goal is to put this coffee shop on every corner in America? Good luck with that.” Our readers don’t know a lot about neuroscience. Can you tell us something about the research and what goes on with it? They need to know moving forward in the future because we’re moving into a world of AI too that is very connected to that. We’ve learned more in the last ten or fifteen years about the brain and it’s exponentially accelerating right now than we’ve known through all about human history in totality. It’s largely because of new tools, measuring devices and technologies that we have that give us more insight and access to see what’s going on in the brain. Up until the last fifteen years ago, we did have brain imaging scanning capabilities and stuff prior to that. A lot of how the brain works were coming from traditional psychology, which is more theoretical in soft science. It’s now moving more into the hard science because we can in controlled settings, put people through certain experiences and measure the actual outcome of what it’s doing on the brain. You’re right a lot of this is being driven by the explosion in AI right now because essentially what AI is an attempt to recreate in technology, the human brain. To be able to even get to the point potentially, which some in Silicon Valley are quite on the record saying that AI could be the end of the race like the United Nations to put a stop to it because the idea is if you can create sentient, conscious beings that are also machines that don’t have the limitations that the human body has in terms of a life cycle and in terms of disease and death and all of these sorts of things, they can replace it. They call it the singularity. It’s that moment in time when AI overtakes the human race. It’s a very real conversation. For a lot of us growing up, we might be thinking science fiction, Star Wars and almost like this is not believable, but it’s very believable. As a matter of fact, I needed some help from Google. I went on the Google Chat. The way that the chat with the health person was coming out, I was like, “I don’t even think this is a person. This is AI.” They had a name and everything like that. I don’t know to be true, but it was some of the ways the responses were coming out and didn’t seem human. They were little too mechanical, but then I noted that there were also some spelling mistakes which could be intentionally done to make people feel like it’s a real person. This is where perception or reality starts to get fuzzy. Was I talking to a human being and what is the impact that that has on the emotional experience I have? To answer your question about neuroscience, we’ve got better measuring tools, diagnostics that give us insights into the brain. What that does then is it allows business people and marketers to glean insights from that and apply that to their business so that you know maybe you don’t have the money to afford an AI technology to help market your business or be part of your backend or something like that. 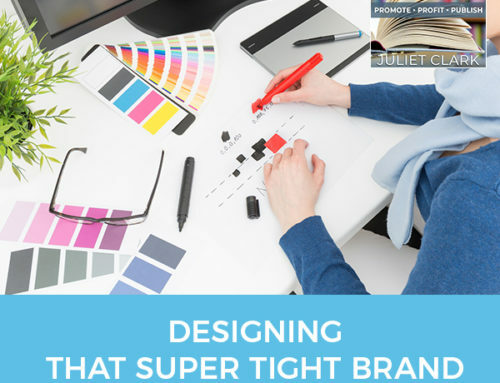 On the front of the design of your messaging, of your logo, your branding, of the brand experience that you want to give, what emotions you want, you can use these neuroscience principles and be very intentional about it. I don’t know if you grew up with Star Trek that all the boys in my house are Trekkies, so all I can think of when I think of AI is data. It’s going to be a very dry world because there’s no emotion behind there. Neuromarketing, how are they taking those things? How do you take those things and incorporate them into your own marketing as a solopreneur? This is where we support a lot of entrepreneurs and small business people. It’s taking an understanding of how the brain works. The logical story sequence I gave you is one example, or another one we use is the habit sequence, how habits are formed. Understand that the sole intention of the brain is to keep you alive. It doesn’t care about anything else. Everything else is the gravy on top. It’s the extra. With that being said, one of the ways that the brain is efficiently keeping us alive, making us productive, and keeping us secure and all the things at the lowest rung, if you like, of Maslow’s Pyramid: safety, security, that kind of stuff are the basics of life. One of the ways that it does is it creates habits. Habits, all of us drive cars or most of us probably drive cars. For those of us who remember when you were first learning how to drive a car, there are a 100 different choices or decisions that need to be made to go from A to B. There are all these things you have to think about, how to merge into a lane. After you drive for a long time, your brain has created a habit about it. It’s almost like it’s chunked all those little individual decisions into one decision area in the brain called driving. It operates from that. People can eat their lunch, do their makeup and fiddle with their radio like they’re not even paying attention to what’s happening. 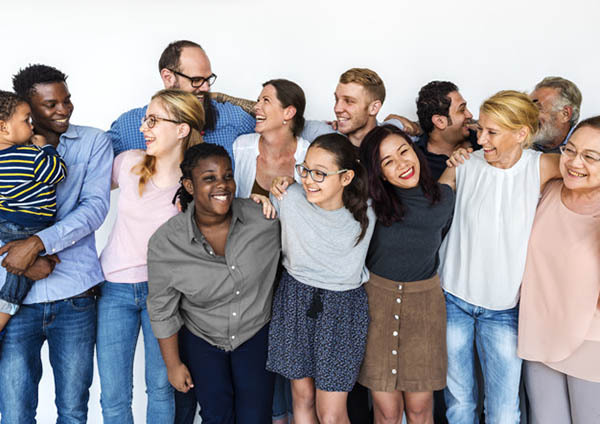 Marketing And Perception: If you can break down and understand how habits work and you can locate the demographics, you can insert your brand, your product, or your service into their habits sequence. How many of you have had the experience of maybe late at night, maybe you’ve even had a couple of drinks or something? You don’t remember how you got home, but you got there. You woke up in the morning like, “How did I get here?” The unconscious habit part of your brain took over and drove you home. Why that’s important is because all of us produce habits. When we teach about the habits sequence as it relates to marketing, understand that when a customer is looking to purchase potentially your product or service or is being emotionally engaged by your brand, they’re not conscious of it most of the time. It’s activating some habit in their way of being that is causing them to engage. If you can break down and understand how habits work and you can locate the demographics. What we call the psychographics of your audience and the habits that they may have, then you can insert your brand, your product or service into their habits sequence. That’s a tool we use. We use the logical story sequence. We’ve got some other ones that we use to take neuroscience, chunk it down in marketing language, and it’s almost become formulaic. If we can basically figure out and fill in these boxes and the habits sequence or these boxes and the logical story sequence, then we’ve got a leg up on engaging our customer because they’re not aware of it. It’s unconscious. It’s happening to them. It’s an interesting topic because some of the customers that we work with, when we first started working with them, they’re like, “This seems a little bit nefarious.” It’s almost like we’re manipulating people. We don’t work with anyone who’s doing damage to people or who are trying to sell something harmful. I don’t work with companies that would be selling things that would be harmful to children or anything like that because these tools are so powerful. One thing I remind them is that marketing has always been about manipulation. When Edward Bernays, who was Sigmund Freud’s nephew, was heading up the propaganda department of the United States government in the 1930s, he said, “Propaganda is too negative, so let’s call it public relations.” That in itself was the ultimate manipulation. I’m writing a book called Being Human in the Post-Capitalist Age, which is some insights that I’m having about where we’re heading as a planet and as a country. One of the things that I talk about is when did we stop becoming human beings and start becoming consumers? If language is constituted by reality and we hear over and over again that we’re consumers. You could be watching the news. Consumers did this, “Black Friday, consumer spending was up.” You start to think, “I’m a consumer. What does a consumer do? We’re at the buying stage.” That goes into your habit cycle and you start being someone who buys. That’s the age we live in. Fundamentally, what’s the thing that distinguishes human beings from animals? It’s our brain and the way that our brain works and the super capacity that it has. One of its capacity is great habits. What we do is ensure that we work with our clients to make sure that they are as best positioned in terms of integrating brain science into their messaging and into their strategy too. We don’t just do marketing, we also work with them as a company in terms of their operations as well, if that’s what’s required. The brain is the one thing that’s common to all of us. 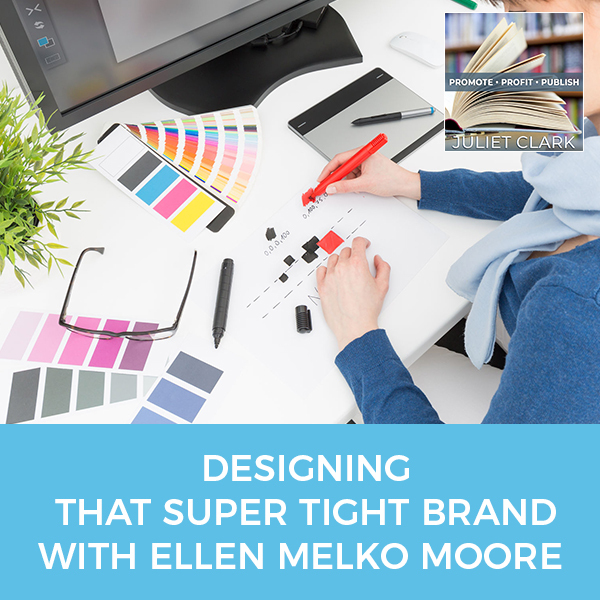 Gaining some level of mastery over it as a marketer, as a business owner, is going to give you the leg up on the competition. You explained why Americans are so far in debt. That’s it. What are three tips you could give our readers for neuroscience that they can apply to their businesses? I’ve touched on some of them but to make them clear, one is that perception is a reality. Don’t think that you’re sharing a common reality with your customer, you’re not. Your job is to create a common reality. In order to do that, you have to understand where they’re coming from so that you can position your messaging and the experience with your brand and your products and services in a way that meets their needs. Remember what I mentioned about the Dr. Frank Luntz’s quote, “It’s not what you say, it’s what they hear that matters.” There’s that. The second one is that we all operate from a place of unconscious habit. Perceiving what’s real is largely determined by habituated decisions that were made by our brain when we were somewhere between the ages of five and twelve, which is where brain development happens. It’s a habit that starts to sink in. The fact that your customers are operating from habit is another tip to realize that there might be some insights there that you won’t be able to leverage. The final one would be that human beings are storytelling creatures. I bring this point up quite a bit. Observe this or whenever you’re out, how much of your conversation is based in rooted in telling stories to those around you? It could even be like, “I got up. I had a shower. I had to go to the mall. I bought this thing. The price was awful. Don’t go there.” This is all story. We tell stories over and over again. A story is one of the most powerful ways, if not the most powerful way to activate emotion. With a logical story sequence, emotion, reaction, then you tell yourself a story. Stories activate emotion. It creates a circuitous loop. 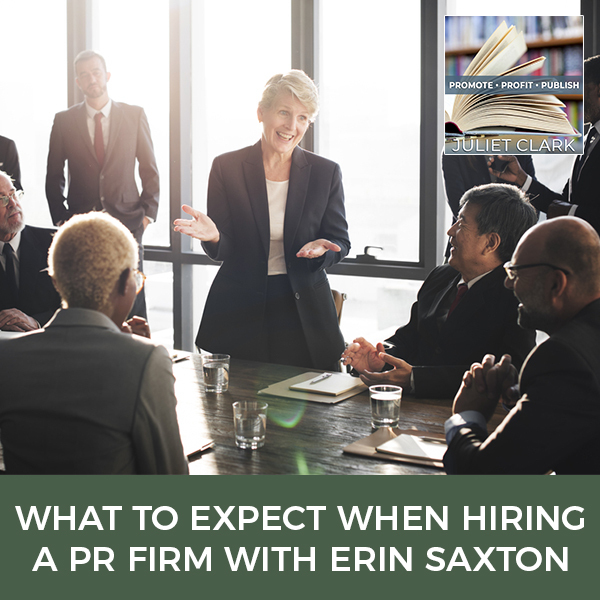 Where if you can insert your business messaging into that, you are going to be able to attract more people to seriously consider what you’re doing in terms of what you’re selling and activate them as customers. I use customer versus consumer on purpose because I don’t like to think that we’re unconscious automatons that don’t have any choice in the matter. I’d love for you to share a little bit about being centered because you told me that you started doing this. You and I have sat down and talked about my assessment marketing. I love the stuff you do. Now you’re ready to share it. Tell us a little bit about that. It’s come from my customers and my community. I focus a lot of my time on marketing historically. I’m not limited there by any means. I’m a strategist at the operational level, at the business development level. I’ve worked with everyone from large companies, large brands all the way to small companies. In my past, I’ve worked with Coca-Cola, Sony Music, Johnson & Johnson, the large brands like that. One of the things that I noticed is that there’s this real desire right now because of the noise. Many companies, small, medium and large, are all competing in the same space. We’re a bit in the Wild Wild West right now because of social media and also the other digital technologies in terms of communications. How do companies position themselves to set themselves apart from the noise? One of the things that kept coming up was, I was observing it and then I would go to my customers and I would note to them that there’s this thing around being centered businesses. 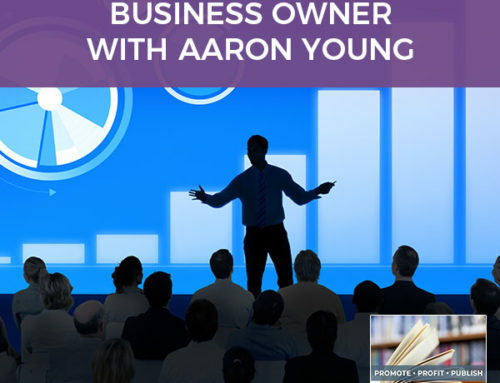 It’s getting clear on why your business exists, what the intention for your business is in the world. Coming from that place and the example I was giving you was Apple. Companies that are grounded in who they’re being in the world, what they’re setting out to accomplish and what their intention is behind it and stay on track with that. There’s this thing called intentional drift where you’ll have an intention for why you started the company and for some reason over time you look back and you’re like, “My company doesn’t look like anything like I thought it was going to look like.” Usually that’s because of this thing called intentional drift. Marketing And Perception: If you are a being of service in the world and coming from a place of true intention and you’re aligned with something that’s a value to society, they’re going to pay for it. What would I do with clients is for $500 a month, it’s super cheap. I’m doing it right now because I’m truly trying to help people. I’m providing people with an hour of coaching a week. That’s four hours a month for $500, which is nothing. What we do with it being centered business model is we essentially work with them on dissect and go back to like, “What was your original intention in starting the company? Who do you have to be and who does your brand have to be in the world in order to stay on that intention, so you don’t experience this intentional drift?” I’ll give you an example of what intentional drift looks like. When Steve Jobs founded Apple. They came back to Apple after he was kicked out, his intention was not to make money. His intention was to see the products and the services that he had in his imagination. To have an impact on people’s lifestyles, that those products could have, that’s what he wanted to deliver to the world. The money he felt correctly would take care of itself. If you are a being of service in the world and if you are coming from a place of true intention and you’re aligned with something that’s a value to society, they’re going to pay for it. It’s not something that you have to think about. On the flip side, in the marketing industry, there’s a lot of focus and attention on tactics. It’s like, “How do we do this? How do we do that?” They’re copying each other. Everyone is copying each other. When you are copying what other people are doing and you’re not coming from that being a centered place of who are you being, what are you trying to deliver to the world? What is your intention? It’s staying grounded in that. By the way, it’s difficult to do. That’s why if reality is constituted through language, what my coaching is doing is providing a constant conversation where we can stay centered around who you’re being, what your intention is and what you’re trying to deliver to the world. I’ve had a couple of customers in the last few weeks jump on board with this. One of them is backing out of her business model and saying because of the work that we said, I realize I’m going in the total wrong direction. Going back to Apple, what happens when you go in the wrong direction? Steve Jobs died and any Apple users out there were probably have had this experience once Steve Jobs died and the intention and who he was being, what he wanted half as the vehicle to deliver his purpose to the world, what he wanted it to deliver. Once that Apple is no longer coming from that place, it became all about shareholders’ returns. It became about growth for growth’s sake. I’ve noticed as an Apple user that their products have not been as smooth and seamless as they used to be because it’s like they’re cutting corners or they are trying to rush things out to market to compete with Samsung because they have to get that next quarterly earnings in. Consider this. We are all 100% of the time succeeding in our intention. You don’t know what your intention is. You can start to access it by looking around and seeing what you have. 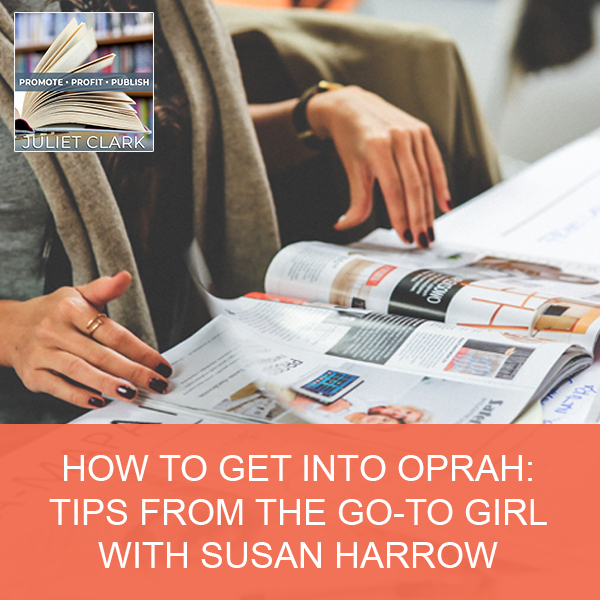 If you have a lot of unworkability, if you have a lot of things not working or not producing or not aligned with what your original vision was, there’s an intention that’s driving you in that direction. A good example of it would be a one business owner that our team worked with, he didn’t realize this. Once we did the work with him, he was like, “We have a great business. We’re making so many millions of dollars a year, but we can’t seem to get above the ceiling. One of my colleagues who was working with him on the intentional work started to dig in and find out what’s going on underneath the surface there. There’s no reason why he shouldn’t have been growing and expanding his business and making more money. What we realized is he had a driving intention to have enough and to not disrupt his lifestyle with his family. When we broke it down, we realized that he was resisting. He was choosing people to be in the company that he knew would not perform at the highest level. It sounds bizarre. Why would anybody do that? If your intention is to have enough and could not disrupt the lifestyle you have, you’re not going to grow because all growth requires some level of disruption. People are going to have all kinds of intentions. When people hear the word intention, they often think of what their conscious intention is. Often our real driving intentions are behaviors that were established when we were children and teenagers. They’ve been running our life ever since. I felt like I can help with marketing. We do the neuromarketing and the neuroscience stuff. I don’t want to help with someone’s marketing if I’m marketing them in the wrong direction. That’s what we’re doing. If I want a part of being centered or talk to you about what is right for me, where I can do that? I’m putting up a Facebook page chat, a Facebook page. You can also go to NeuroBe.com and there’s a Contact Form where you can fill out and say, “I’m interested in talking about being coached.” On the Facebook page that I’ve set up, it has the rates, the $500 and stuff like that and I’m getting that setup. It’s pretty lean right now, but I would encourage everyone to go to NeuroBe.com. There’s a lot of good information there. $500 a month for four sessions. That’s a smoking deal. You should be charging that per session at least. Our rate is normally $25,000 for two days. Two days is sixteen hours. You’re getting four hours for $500. It is a smoking rate. I authentically want to help move the needle for people. Thank you so much. This is probably one of the most interesting podcasts that I’ve had a very long time. You being on. We’ll talk soon. Chad Lefevre is a design-thinking business strategist, neuromarketing/communications executive, and a self-mastery coach. He has nearly 20 years of executive business and leadership experience including the areas of senior management and operations, business development, branding, marketing, corporate and crisis communications, stakeholder relations,and PR, technology design and development, and investor relations that has spanned both the United States and Canada. He has served as CEO, President, and CMO for many startup and mid-size companies, in addition to his work as a consultative strategist. His research and study crosses several disciplines, including neuroscience, cybernetics, complexity theory, game theory, behavioral psychology, philosophy and spirituality. His work and career has touched multiple sectors, including entertainment (film, music & gaming), technology (web, mobile & social media), education & edtech, health and wellness, energy, and hospitality. He is currently Founder and Senior Partner at NeuroBe Inc., a neuroscience and behavioral psychology-based design thinking think tank and coaching company; he is a partner at InLux Research, a psychographic data gathering and analytics company, and he is co-founder of Ncite NeuroMedia, a neuromedia digital technology company that integrates neuroscience principles and research into immersive video game experiences to engage stakeholders and customers of global brands and companies. As an entrepreneur, an executive and a senior consultant, Chad has worked and lived in both the United States and Canada, and boasts a diverse and powerful network of industry leaders and influencers spanning Los Angeles, Las Vegas, Vancouver, New York, Dallas, Calgary and Edmonton parts of Mexico, and most recently parts of China. His work has provided him with many unique and inspiring opportunities that have included being part of Larry King’s private breakfast group in LA; overseeing the design and development of a Beyonce’ themed mobile application for Music World/Sony Music Latin; leading strategic planning work with Jack Canfield’s (“Chicken Soup for the Soul”) team to design and plan a new product launch; partnering with one of the founding producers of The View to help a former Live Nation Executive transition from the highest paid executive in America to a spiritual master; rebranding and leading the development of the Shell Canada digital identity; co-designing the strategy and brand of Richard Blanco, Poet Laureate to the Obama Administration, in time for Cuba’s re-introduction to the Free World; leading the development of a new United Way global business model around content dissemination; leading Ncite’s US and Mexico development team in the design of a neuroscience-based video game solution to train Coca-Cola and Telus executives; co-producing the Sundance Thought Leader Summit with the Governor of Utah as a guest, and other high profile participants, including Stephen R. Covey and Jean Paul DeJoria; co-producing an event that brought Adrien Grenier (Star of HBO TV Series, Entourage) to the Calgary Stampede for a meet and greet; co-producing large industry strategy and networking events bringing 250-300 of the world’s top authors and speakers (such as Tony Hsieh, Peter Guber, Peter Diamandis) together to discuss the impact of digital media on the personal growth industry, and so on. On top of all of this, Chad is a dynamic, funny and inspiring speaker and keynote presenter. Chad speaks on stages around the world (CEO Space, e-Women’s Network, private leadership keynotes for corporations, etc) about the power of, and need to master our own neuropsychology due to its implications for high impact outcomes in business and self-mastery. Chad has guided clients and engaged audiences through his insights into how the mind and technology recursively influence and define each other in our digital age. For this, and his work around the implications of neuroscience and technology on brand building, he was featured in INC. Magazine in 2017, and has upcoming interviews with Forbes, other leading publications. Chad is currently writing a book on the impact of shifts in the global order on business, and how leaders need to adjust their way of being to survive these shifts.